Indian Chemical Council (ICC) is the responsible authority for compliance of Chemical Weapons Convention Act for the concerned industries. ICC, Vadodara is therefore organizing regular Awareness Sessions at Vapi Industries Association (VIA) on Chemical Weapon Convention. One of such Awareness Program for Chemical Weapon Convention was organized on 12th January 2019 at VIA 2nd Floor Conference Hall jointly with VIA. The program was held in the presence of Shri Anand Kane & Ms. Aarat Sheth of ICC, Vadodara, Shri Prakash Bhadra, President, VIA. 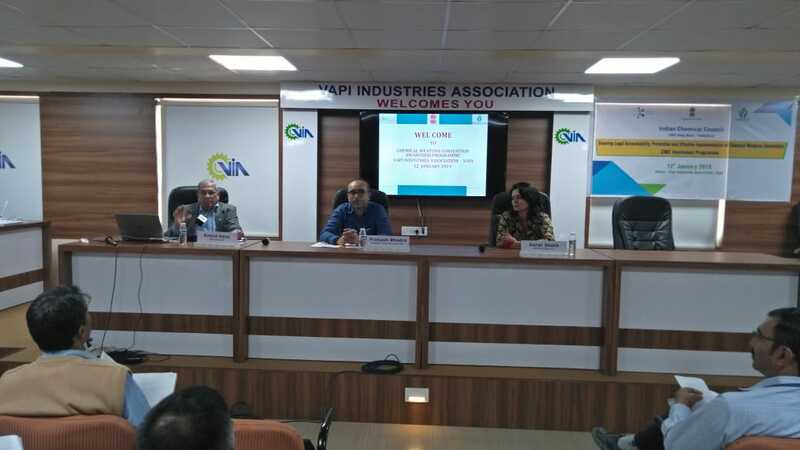 Shri Prakshbhai during his opening speech informed all the present about the important role played by ICC in helping the Industries Members for compliance of Chemical Weapons Convention Act. As is done by other regulatory authorities like GPCB, CPCB etc., he expressed his sincere thanks to Shri Anand Kane and the Team of ICC for their co-operation and help extended to the Industries Members of the estate for compliance. Here below is the brief given thereafter by Shri Anand Kane of ICC to the participants : ? National Authority, Chemical Weapons Convention (NA CWC), Cabinet Secretariat, Government of India in collaboration with Indian Chemical Council has set up CWC Help Desks in the various regions of the country. ? The CWC Act 2000 enacted by Government of India is in force to implement Chemical Weapons convention (CWC) a multilateral, disarmament treaty. ? Gujarat State is housing majority of Chemical / Pharmaceutical/ Colour industry of the country and has also a major share in meeting its obligations to implement CWC Act – 2000. ? CWC Help Desk is set up in Vadodara to assist industry in filing complete, accurate and timely CWCdeclarations to NA CWC. The Help Desk is headed by Mr. Anand Kane who is also an EX Chemical Weapons inspector. ? CWC Help Desk conducts outreach programmes every year to create awareness amongst industry. The programmes are conducted in the State at locations having concentration of relevant industries. 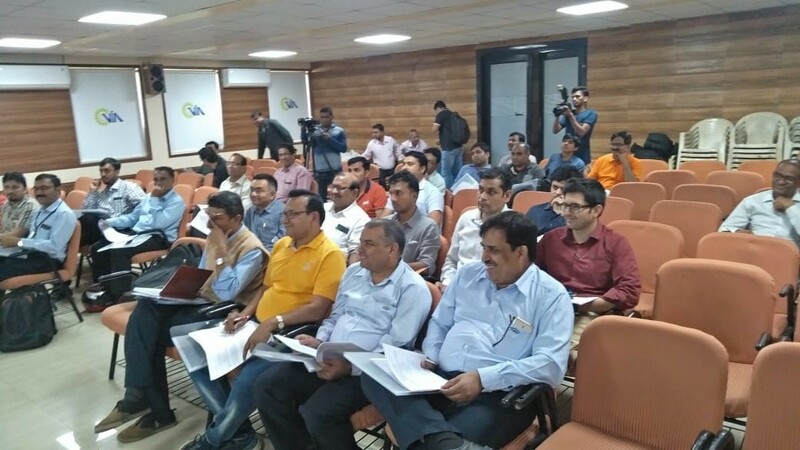 Vapi Industries Association is extending full cooperation and support to CWC HD officials in conducting Awareness Programmes for the industries in the region to meet its obligation in implementing CWC. ? The relevant Indian industry is aware and meeting its obligations (by providing annual declarations of its facilities) in accordance with statutory requirement and as moral responsibility for the cause of peace and safety of the countrymen. ? 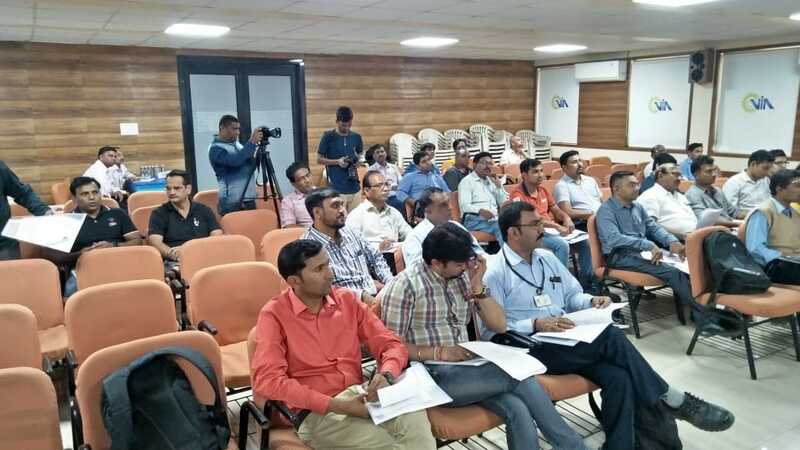 India is receiving about 20 - 25 international inspections each year and these are being successfully accomplished, jointly by Industry representatives and Enforcement Officers from Government of India. ? VIA commends efforts of officials of ICC’s CWC Help Desk- Vadodara by assisting industry in meeting its obligations. The program was well attended by over 55 Industries Representatives.